A carrier board (aka base board) is used in conjunction with a Computer on Module (CoM) / System on Module (SoM). 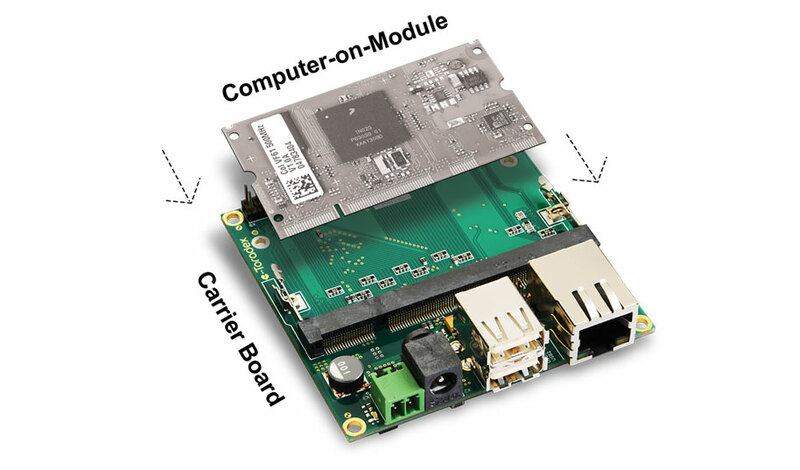 The carrier board houses the application-specific connectivity and multimedia interfaces such as USB, Ethernet, UART, HDMI, etc. The carrier board connects with the SoM via standard connectors such as SODIMM or MXM. Get one of the off-the-shelf carrier boards or go full custom, either way Toradex can help you!